It used to be simple. A company decided to build a pipeline. 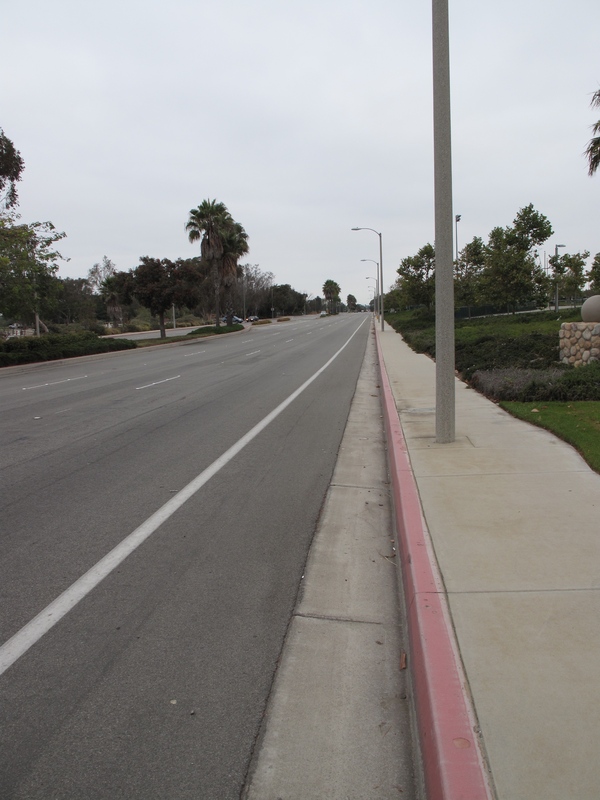 They hired a right of way agent, secured easements at predictable rates, and the project began. In those old days, routes were determined, engineering was done, and the land acquired. The pipeline company controlled all of these facets, except for land acquisition. Landowners would be paid the going rate for right of way in the area based on standard or historic methods and amounts. If an appraisal was required, then a reliable and economic approach was the Across-The-Fence (ATF) method of appraisal determined the property value based on whatever the property next door was worth. If not by the ATF method, then the going historic rate would be the determining factor.If things got sticky or time consuming while dealing with the landowner in question, the agent could always play a condemnation card and threaten to evoke an eminent domain seizure. Then, the Age of Information came along and disrupted things.The best source of information about what is happening with other landowners used to be gathered at the local Dairy Queen. Now it is on Google where everyone is instantly on the same page. In many cases of purchasing easements, the going rate from pipeline companies is no longer relevant to the landowner. The rate in the landowner’s mind is calculated in a different manner. Through our company, Pipeline Equities, we have bought and paid damages on millions of feet of easement while installing and removing pipeline over the past 30 years. We are closely acquainted with the goingrate/historical rate paid for rights of way. However, these old rates no longer apply as more enlightened landowners are just not accepting these old assumptions. They are demanding and getting more lucrative contracts. Most landowners have small tracts of a few hundred feet and don’t have the resources or inclination to fight or challenge a condemnation suit. Generally,they accept what pipeline companies offer. Offers have become very generous in many cases. One reason for increased offers is due to failure of many condemnation suits and the length of time it takes to respond and get a judgement. Delaying a project for a condemnation suit can be costly. Right of way costs still hover around 5-10% of the overall cost of the pipeline project, and it doesn’t behoove a pipeline owner to delay things over a minor cost problem on some easements. The easement cost on the project as a whole seems negligible, but some agents persist and seek to condemn or threaten, perhaps to keep the domino effect from continuing down the right of way. The first unusual easement valuation happened several years ago in a court case where the Navajosof Arizona were suing a pipeline company to pay an annual royalty or fee based on a percentage of the value of the product going through the line. The settlement outcome of was not released, as is usually the case with these types of settlements.One of the services we provide at Pipeline Equities is pipeline appraisals, and we remain very interested in these kinds of developments as they can affect line values. I thought that because of the sovereignty of the Navajo Nation, this might be a special situation, and the rest of the country would remain in the status quo.Of late, the number of cases like the Navajo suit has increased. 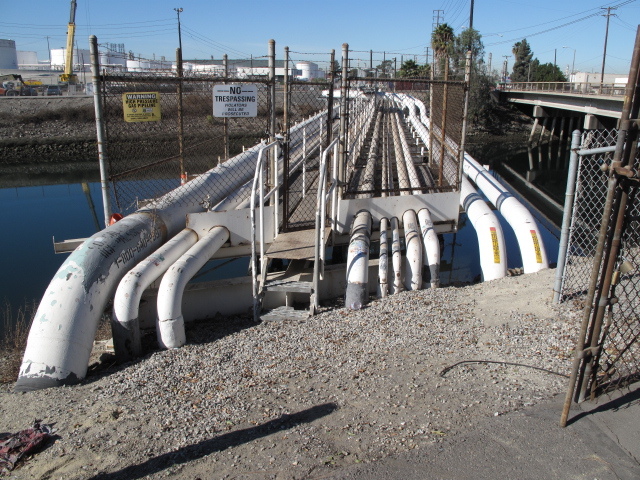 Last fall I received a call from the asset manager for the City of Los Angeles who was inquiring about how they could appraise the pipelines that were permitted by fee and contract to run under the streets of the city. I was well familiar with some of the pipelines as I had done appraisal reports for some of their owners. They carried crude, jet fuel, gasoline and other products back and forth to a refinery district in an LA suburb. The manager stated there were some 23 lines of various lengths and the city was currently charging annual fees of up to 2% of the value of the product in the pipeline – which was $16,000,000 to $25,000,000 per year. The agent I spoke to mentioned they are seeking a way to stabilize the income (at the higher amount) and wanted my advice on how to do it and whether an appraisal of the lines was in order. He indicated the length of the lines was insignificant as the fees were based on product throughput and its value. The shippers were obliged to provide this information on a monthly basis. We were in the process of determining the scope of work when he called back to report the California Supreme Court had ruled that they could charge up to 10% of the value of the product based on another case that had reached California’s highest court. Houston has always been a pro-business town. It was a land developer’s city and continues as an entrepreneurial hot spot. The Houston Ship Channel is the channel to the sea that connects inland Houston to the Gulf of Mexico sixty miles away. There are many refineries as well as plants and factories along the way that use oil and oil-derived products to build and maintain thousands of products. Pipelines crisscross the channel all along the route. The Port Authority and the Houston Ship Channel base their fees for crossing their jurisdiction based on the diameter(in inches) of the pipe crossing the channel and the length. For example, an 8” to 16” diameter line would have a fee of $4.46 per linear foot with an $1831minimum assessment per line. A 32” to 48” diameter line would be assessed $14.23 per foot with a $5802 minimum per line and so forth. 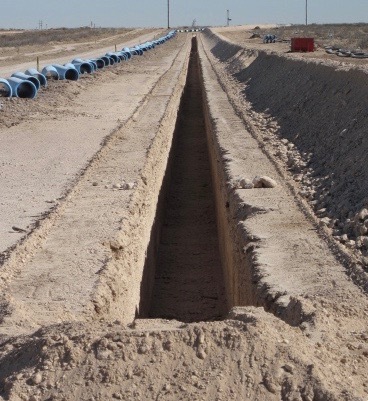 Last year, while preparing for a sizable water pipeline project in West Texas, a company leased an easement across University Lands. The University Land Trust (UT Lands) owns some 3,000,000 acres in West Texas. Their job is to generate as much cash flow for the Universities of Texas and A&M. Their procedure is well known in the right of way business. UT Lands’ standard price of 10-year easement is based on diameter of pipe and a damage fee when you take it up in 10 years, unless the easement lease is renewed for an additional10 years. The surprise encounter last year occurred when UT Lands determined they would assess this new pipeline based on volume of throughput (water) at $.10 per barrel. This is fee would be in addition to the easement cost to be paid annually based on the volume of the product flowing though the line. Ultimately, the line will carry an amount of up to 250,000 barrels per day. At that rate, $25,000 per day would flow into University coffers to help to educate Aggie and Longhorn students. You can’t argue with that. So, the company was left with either incorporating the cost into their cost of operations or raising its tariffs. In effect, almost all assessments are arbitrary in nature. Ultimately, I doubt there was any formula for the first easement payment 150 years ago when someone paid $.15 per rod for pipeline easement. The city of Houston owns some property on the eastside of the city and assessed a fee of $28,000 per year for one line to cross the property. There was no mention of the outside diameter or overall length of the pipeline. A land developer in Los Angeles County, California ceded the surface rights to the flood control district for a drainage channel, but continues to own the land below the channel and the air rights above it. Over the past 50 years, the land company has given permits for various pipelines to cross the property and currently receives an average of $5,600 per year per line to cross their channel. They are not sure they want the pipelines crossing the channel at any rate and are assessing their position. It is their decision and their property. But, the pipeline has no other place to go as the same company owns most surrounding properties. Is this a case for condemnation? The considerations of 21 crude and product pipeline crossing over a channel that empties into the Pacific two miles away is huge. What formula would determine the risk they would take with the pipeline owners in case of vandalism, age, or accidental rupture? What amount is sufficient to allay risks and award adequate and just compensation? A pipeline in the Marcellus determined they could save great amounts of time and expense by purchasing the rights to lay a pipeline on the property owned by a toll road authority over a 200-mile route. The cost of the transaction: $178 Million fee paid to the toll road owners versus $267 Million to go an alternate route after environmental considerations. The cases mentioned in this article are ones I have personally been involved with over the past year. Early on I was surprised at what I was seeing, but clearly a trend of landowners determining the easement value has begun. The trend applies only to those who have the resources and knowledge to challenge rather than accept the going rate offered by pipeline companies. There is so much information that is readily available to those who are determined to do the research. In any case, there is a new day coming for pipelines and the possibility of tolls for crossing any property. For many it is already here. David Howell leads Pipeline Equities in pipeline removals and acquisitions in Oklahoma, Louisiana, Texas New Mexico, and California. Easement indication on Los Angeles street. Laying a new water line on University Lands. 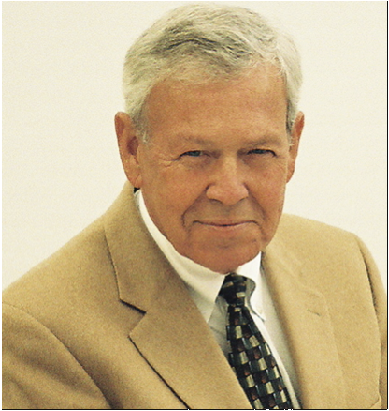 David Howell is managing partner of Pipeline Equities in Houston. We are licensed and certified in all safety and environmental jurisdictions with OSHA & EPA.